After an accident many people experience symptoms including headaches, neck pain, numbness, dizziness, and back pain. These symptoms indicate that the spine and extremities may have suffered deep injuries that can be the underlying cause of future and permanent joint degeneration, arthritis, muscle imbalance, and nerve damage. Scar tissue will form soon after the injury causing restricted mobility and a prolonged healing period if left untreated. This is why it is important to begin treatment as soon as possible after an accident. Dr. Duggan will personalize a treatment plan to help you recover faster, improve your overall strength, flexibility and balance and return to living an optimal lifestyle. Duggan Chiropractic is a full service health facility with all the tools needed to diagnose and treat most injuries related to an auto accident. Since 1986 Dr. Duggan has been treating thousands of patients for auto injuries. If needed, he has built a network of practitioners to work with in order to handle any health care needs you may have throughout the healing process. 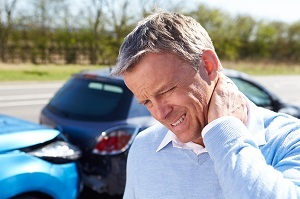 As a part of Duggan Chiropractic's excellent customer service, we will help take the stress out of being in an accident by communicating with and billing your insurance company for you.